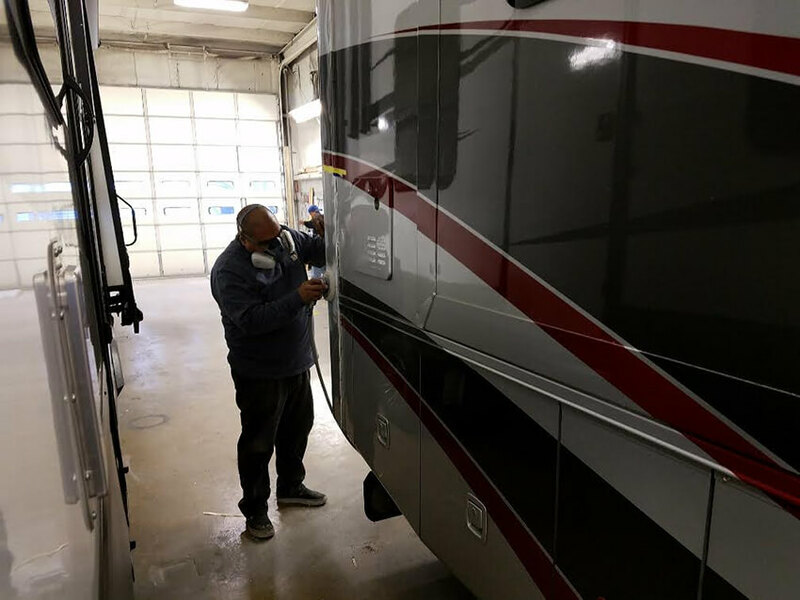 RV Country's RV Paint and RV Body Shop personnel are skilled technicians specialized in RV body repairs and paint. 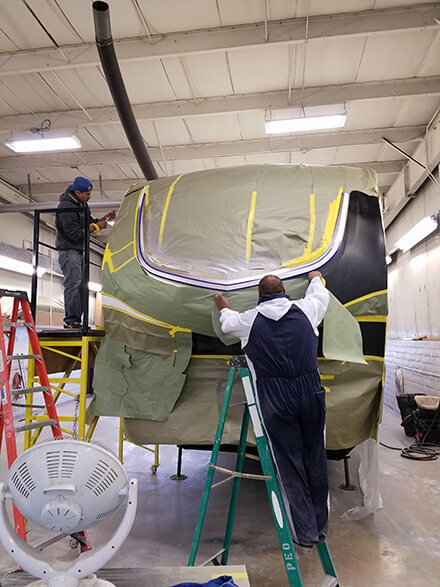 They are capable of repairing ALL types of RV's, including fiberglass, filon, gel coat repairs, travel trailer skin repairs, graphics and painting. 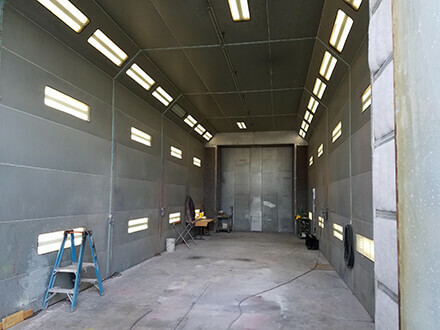 Our process for success begins with giving you, our customer, free, reliable and accurate estimates for the work. 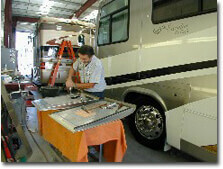 RV Country in Coburg has established positive relationships with virtually every RV insurance company. Our ability to cut through the red tape ensures a smoother and faster repair process. We will work pro-actively with your insurance company to deliver the high quality service you deserve. 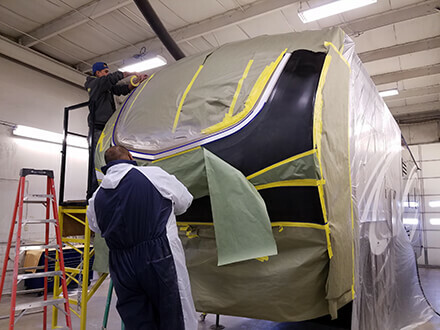 Our RV paint department uses PPG, one of the finest paints available. We are capable of producing any color on the market or we can mix a one-of-a-kind color that cannot be duplicated. 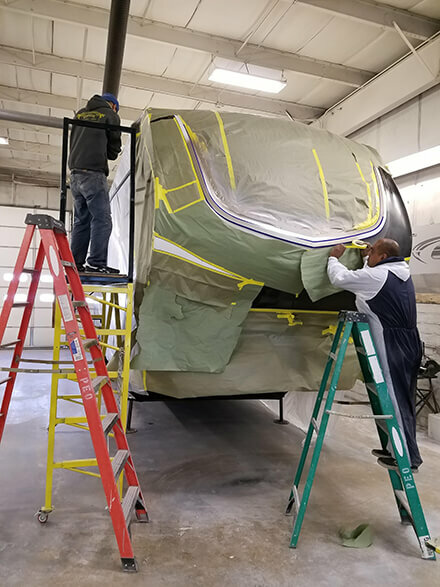 There are many facts that you should know about the repair of your RV as they apply to dealing with your insurance company.